The Australian government accused the Islamic State in December of exploiting foreign fighters by using them as “cannon fodder” in Syria and Iraq. A British Islamist reportedly blew himself up today in Ramadi. 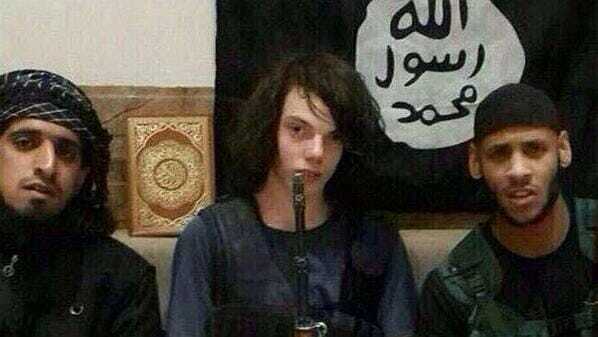 In March ISIS used an Aussie teenager as cannon fodder. Aussie teen ISIS fighter Jake Bilardi carries out suicide bombing in Ramadi. 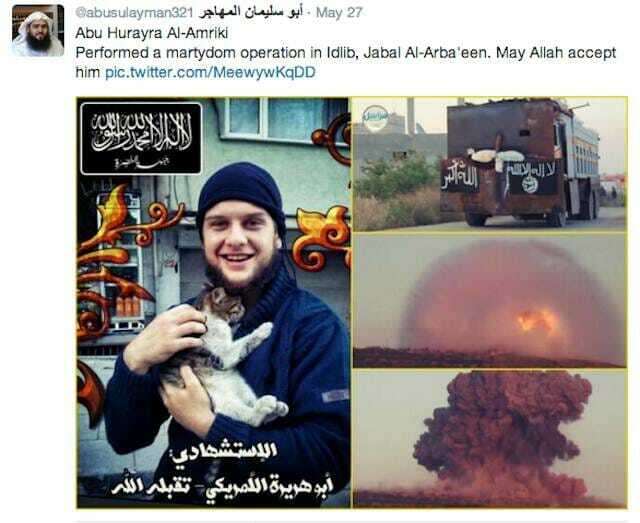 American suicide bomber Moner Mohammad Abusalha posed with a kitten before his suicide attack last year.